Sunset at Sunset is an annual celebration featuring live music, local atists and artisans, and great food. Last year's event attracted around four thousand people. This year, it will be held near the Ingram Planetarium in Sunset Beach, on Saturday, October 2nd; and organizers expect even more participants this year, because the weekend of October 1st will also mark the final passing of the old in favor of the new: The Dedication of the new Mannon C. Gore Bridge will occur on the Friday afternoon of October 1st, followed by an evening reception at Sea Trail. New Ocean Isle Beach Park: Opening Soon! 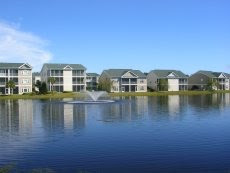 Since last spring, we have been eagerly awaiting the opening of a new county park in nearby Ocean Isle, which is just a few minutes' drive from Sunset Beach Bliss, straight down Old Georgetown Road. The park has eight tennis courts, a 300-seat amphitheater, and a wonderful playground for children. As soon as we can get back to Sunset Beach, you can bet we'll be posting some photos to this blog! 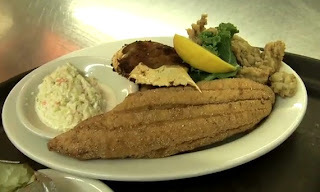 Calabash, World Famous For Its Seafood. And Now For Some Visuals Of The Victuals! So, one of life's great combinations for many of us is a week at the beach and a good book, right? And a good work of fiction can be a great way to escape from the stress of daily life. But since Sunset Beach, NC, is a place to escape to rather than from; sometimes I feel somehow that I'm failing to appreciate the beauty and charm of what's surrounding me if I bury my nose in a book the minute we hit the sand. Perhaps the solution for this little dilemma is finding novels set right in Sunset Beach! It turns out there are more than a few. 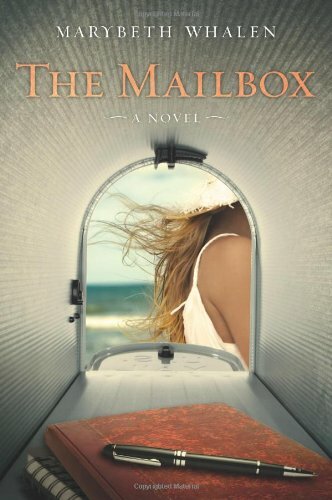 And thanks to Pam Kelly's excellent blog on North Carolina fiction, The Mailbox: A Novel, by Marybeth Whalen has come to my attention just in time for my next trip to Sunset. In fact, this particular Southern beach seems to attract lots of authors, many of whom have also been inspired by the Kindred Spirits mailbox on Bird Island (see my earlier post about Bird Island). If you visit The Pelican Bookstore, you can browse through a whole section of both local authors and other works which also have a connection to this very inspirational corner of the world. 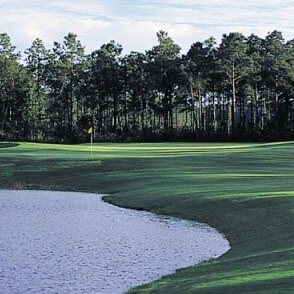 The Sandpiper Bay Golf & Country Club in Sunset Beach, NC, was chosen to win the annual award over a group of more than 100 area golf courses. Having such a fantastic Golf Club in our neighborhood makes Sunset Beach Bliss a great vacation destination.